Will you please tell here process to get Duplicate Degree Certificate of University of Madras ? As you want I am here telling you process to get Duplicate Degree Certificate of University of Madras. 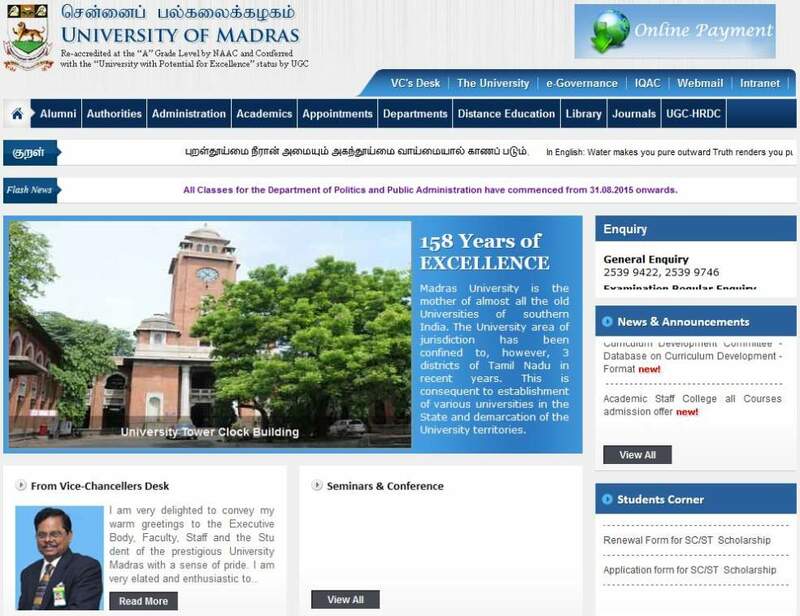 Go to official website of University of Madras. Download the application Form/Document for getting Duplicate Degree Certificate. Understand the Documents that are required to be submitted . Fill application form and send it at the university office. A police certificate issued by the police official. An affidavit in Rs.10 or Rs.20 bond paper duly signed by the Notary Public. A photocopy of the original degree certificate. If you want the duplicate copy to be sent through post, you also have to submit a self-addressed envelope of size 11" x 15" stamped for Rs.30.